This Noise Is Ours: Hundred Year Old Man - Rei 12"
The first foray onto vinyl for Leeds' ambient/heavy post-metal band Hundred Year Old Man is a glorious one. The above three songs were pressed onto sumptuous single-sided black wax, with the other side being etched, by UK label Gizeh Records and German counterparts Wolves And Vibrancy Records. HYOM are currently carving a path across Northern Europe with Row Of Ashes, taking in stops in France, Belgium, Germany and the Czech Republic in support of this release. We’re just over a month into the year and great music seems to be flying from all directions. Hundred Year Old Man are no exception to that and Sun & Moon is a swirling mass all of it’s own. 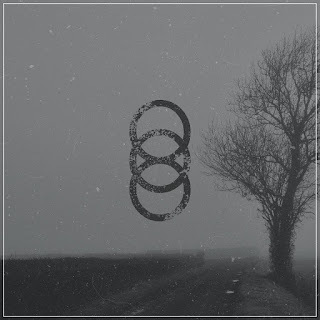 Calming melodic ambience is joined by restrained drumming and guitar work, that backs up harsh vocals that are both towering and claustrophobic. Pushing boundaries seems to be in the DNA of many Leeds bands and HYOM truly encompass that here. A Year In The North Sea is a bizarre and sometimes jarring instrumental (mostly anyway) that builds in volume, though it’s a contrast to the song it follows as it’s length is kept to a minimum. Rei is filled with the band’s familiar ambient layers as it begins, before turning towards off-kilter territory. There’s a structure that seems to switch between eerie horror soundtrack-like passages and heavy sludge. It’s definitely unsettling but it provides you with a tangible feeling of just how experimental and unique HYOM are as a band. The engineering/production/mixing job of members Tom Wright and Owen Pegg is brought to life via the skilled mastering of Magnus Lindberg, which helps this record sound and feel very alive indeed. “Rei” has left me paralysed within these four walls. I don’t quite know what else to say about this except that it really needs to be heard, as me trying to describe it doesn’t do it justice.